Pink BubbleGum gives To Whom It May Concern 6.5 out of 7 Head Nods. In an atmosphere where everyone is trying to be someone else, and there’s no distinction between voices on the radio, Choklate drops a stellar collection that shows her growth musically & vocally. Complete with a few head nodders, hip shakers, feet tappers, and heart wrenchers; from subject matter, to melodies, to harmonies, the album is electrifying. No need for you to skip or hop over a track, no need to fast forward… you will however, eventually put it on shuffle because of the constant rewind factor. I love @least 80% of the songs on the album, but even the ones that may not be my immediate “go to” song still get played all the way through; either because the production is beautiful and the instruments take me away, or the words speak to my soul. TWIMC has a retro appeal with 2009 kinda flair. 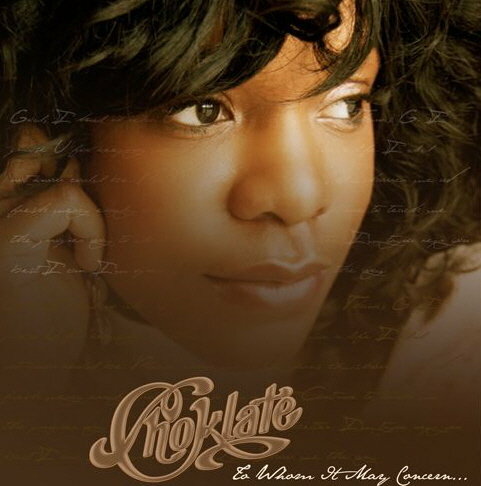 Channeling the great music of the early 90s; the production team created an album with that feel good beat that music is missing these days… complemented ever so beautifully by the voice filled with passion, depth, and soul that is Choklate herself. To Whom It May Concern, this ^^^ is your summer banger!